The mission of Veggielution is to connect people from diverse backgrounds outdoors through food and farming to build community in East San José. Our 2-acre community farm and gathering space is located in Emma Prusch Farm Park in the Mayfair neighborhood, one of the most impoverished areas in Silicon Valley. Mayfair residents suffer from conditions that affect many immigrant and working-class populations, including higher rates of obesity and diabetes, significant education and earning gaps, lack of access to safe, well-maintained outdoor spaces, and limited options for fresh, healthy food. 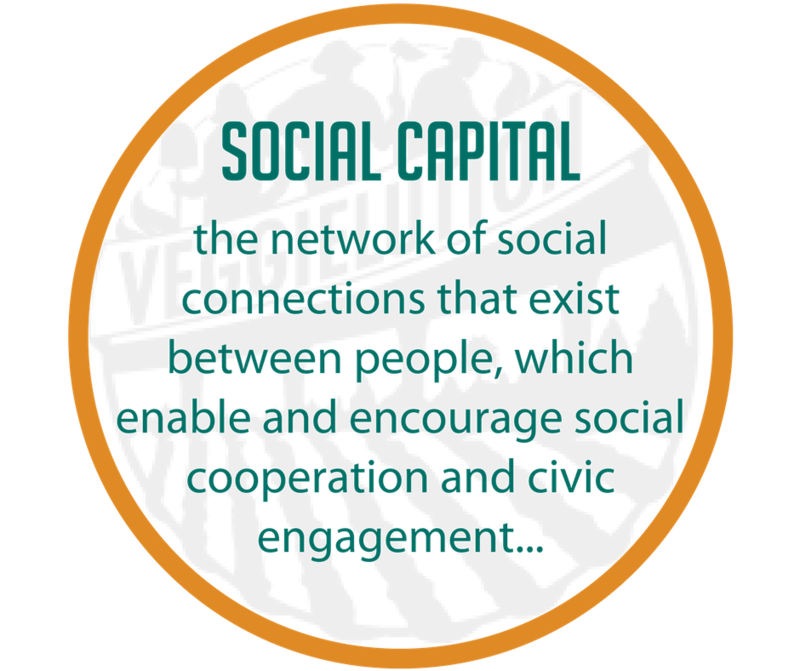 We believe that building social capital--the network of social connections that exist between people, which enable and encourage social cooperation and civic engagement--is the key to addressing these issues. We follow this approach in our three areas of impact - Community Engagement, Youth Education, and Leadership Development. Through food-centered programs for all ages, we connect residents to each other and to people and resources from outside their community that will enable them to make change. Our farm provides a critical platform for these programs. Many East San José residents have deep and meaningful connections to agriculture. We seek to use our farm as a safe, accessible and well-maintained gathering space for the East San José community to reconnect to the land and to each other. In an effort to help East San José community residents of all ages connect with leadership opportunities, we offer a diverse roster of programs and the necessary infrastructure to support mentorship and hands-on experiential learning related to every aspect of our urban farm operation. Local community residents are be invited to join our lead Veggielution Cocina cooking classes, attend middle school field trips, and even share their favorite recipes with the local community from our food truck at offsite events. Each month we celebrate our food community at our monthly 1st Saturday program, where we feature yoga, live music, and Art in the Garden. Veggielution was founded by three San José State University students who wanted to build community through food and farming. 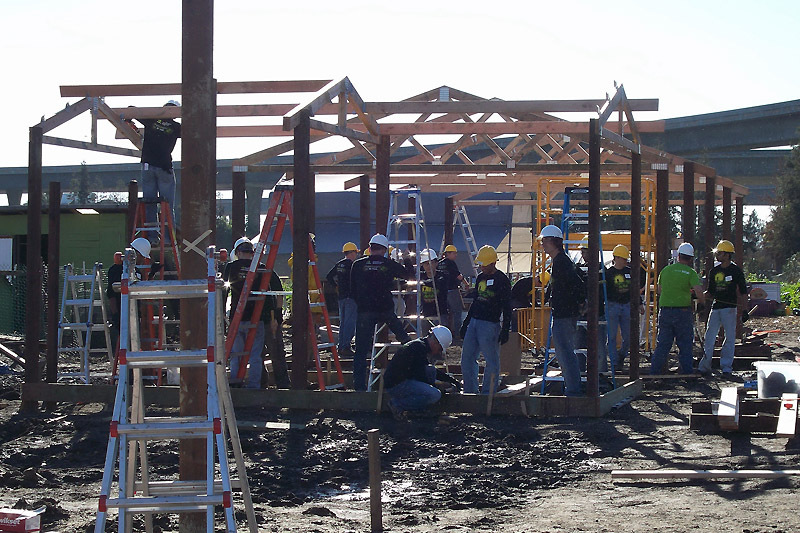 With the support of the City of San José, Veggielution broke ground in 2008 on a 1/6-acre parcel of land at Emma Prusch Farm Park in East San José. Emma Prusch Farm Park is a former dairy farm that was deeded to the City of San José in 1962 with the stipulation that it always be used to demonstrate the agricultural history of this area once referred to as “The Valley of Heart’s Delight.” Since 2008, Veggielution has grown year by year on this historical and previously underutilized land to become a thriving 6-acre urban farm where neighbors can gather, learn, and play. Our organically-managed community farm connects thousands of Silicon Valley residents each year through programs that encourage experiential learning and healthy eating. 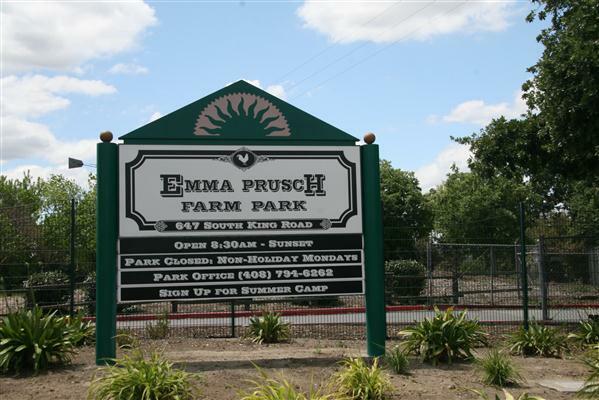 1962- Emma Prusch bequeaths 86 acres of land to the City of San Jose to be used for agricultural demonstrations and education. 2007- Co-founders meet at SJSU and begin gardening in back yards near campus. As they expanded with more people and more produce, inspiration hit. By cultivating a space to gather over food where everyone feels included, they can break down barriers that keep people apart, uniting all community residents across generations, incomes, and cultures. Mid April, 2008- Veggielution begins residence in Prusch Park with ⅓ of an acre. After years of disuse, the usually mineral filled clay soil was compacted and hard to work with. Despite obstacles, harvest was a success with a bumper crop of tomatoes, lettuce, peas, broccoli, and others. Produce enjoyed by volunteers and local food banks. 2009- Veggielution gets an Acre! Through volunteers and a new program called Dig Crew, 500+ volunteers harvested 4,000 lbs of food. Dig Crew is a High School internship program providing youth with knowledge and experience and challenges them to think about what they eat and where it comes from. 2010- Veggielution Volunteer numbers nearly triple this year! 1500 volunteers grow over 15,000 lbs of food. This year we also built a chicken coop! 2011- Veggielution is given nonprofit status and receives 2 additional acres from the city of San Jose, doubling their community contributions and continuing their mission. This year, Veggielution also begins a school garden program. 2012- Contract is signed with the City for use of full 6 acres of land for 9 years. Original Plot becomes the Youth Garden, where families and children can see, touch, and learn about the various plants, fruits, and vegetables growing throughout the space. 2012- Project Inspire, a generous donation from NVIDIA, was given to Veggielution. This donation, including $300,000 and 1,500 volunteers helped further many projects on the farm, including irrigation, farm murals, and planting a new orchard. The biggest contribution was the Village, which includes many of the structures that are essential to the mission and vision of Veggielution. The Village is home to the Farm Stand, Kitchen, Potluck Area, Cooling Shed, Packing Shed, and storage sheds. 2013- RECORD YEAR! This year Veggielution received almost 21,000 hours from 2,600 volunteers to harvest over 56,000 pounds of food. 100+ fruit trees planted in the orchard, which will be ready to harvest in a few years. 2013- Veggielution partners with Santa Clara Medical Foundation to prescribe “Veggie Vouchers”- vouchers that are distributed at clinics, allowing families with children at risk for diabetes, or other diet related diseases, to come to Veggielution and receive free vegetables at the weekly Farm Stand. This partnership allows us to get our produce into the hands that need it the most. The Mayfair is a working-class immigrant community where nearly half of residents are foreign-born and most speak a language other than English at home. The Mayfair is 70% Latino and 22% Asian/Pacific Islander (primarily Vietnamese). Mayfair is also the same neighborhood where labor leader César Chávez held community assemblies in the late 1950’s and Robert Kennedy visited in 1968. Chávez’ message ¡Sí Se Puede! endures with his name on a Mayfair elementary school, community murals, and a city plaza. An annual march in his honor culminates at the Mexican Heritage Plaza, built on the site where Chavez organized farmworkers during the grape strike. No longer a community of migrant farm workers, the Mayfair now attracts mostly low-income immigrants for the construction and service jobs that came with the information technology boom in nearby Silicon Valley. Waves of new immigrants, including Mexicans, Central Americans, South Asians, Cambodians, and Vietnamese have arrived. These residents face serious economic and health-related challenges. Mayfair residents have a rate for diabetes deaths that is over twice the rate for Santa Clara County, and also have some of the worst incidence of heart disease and obesity in the area. The median household income of Mayfair residents is less than half that of the median income for Santa Clara County. The education and earning gaps experienced by Mayfair residents - 41% of Mayfair adults do not have a high school diploma, and only 10% are college graduates - have a direct correlation to their future earnings and poverty level. Despite these challenging circumstances, Mayfair is a vibrant neighborhood, rich in cultural and culinary traditions and characterized by diverse entrepreneurial and informal food businesses. It is also the home of a strong collaborative of community organizations that offer food access, civic engagement, education and arts and culture programs. Born February 12, 1876, Emma Prusch was the daughter of William and Cathrena Prusch. The Prusch family ran a dairy farm on the land that is now Emma Prusch Farm Park. Emma spent her life on the family farm and helped raise her two brothers, Nicholas and William Jr., and her sister, Mathilda. When Emma's father passed away in 1949, she took over the family dairy. During the years that Emma lived on her dairy farm, San Jose was a major farming area. Crops such as wheat, followed by grapes, and then fruit orchards, covered most of the valley. The large number of orchards, covered with fragrant blossoms each spring, earned San Jose the name "Valley Of Heart's Delight." In the late 1950s, when Emma was in her early 80s, she thought about the future of her land. Over her lifetime Emma had seen the Santa Clara Valley change from a place of quiet, rural agriculture to a large, busy city. Emma's love for her city and for agriculture helped her make her choice. Emma Prusch donated her farm to the people of San Jose to be preserved as an, agricultural park. Today, Emma Prusch Farm Park provides an important link to the city's past, as part the Valley of Heart's Delight, this is the result Emma's vision.